This device will transmit some parameters wireless from my Rc-nitro car to a hand held PDA.These parameters are; Motor RPM, Speed KmH, Fuel level, Battery voltage, Engine temperature and 3-axis G-force. First we need to design some sensors. For the RPM and KMH we are going to use a reflection sensor . Due the high RPM it was not possible to mount a magnet to the motor or drive shaft. The reflection sensor will give a pulse when the reflection goes from light to dark or dark to light. 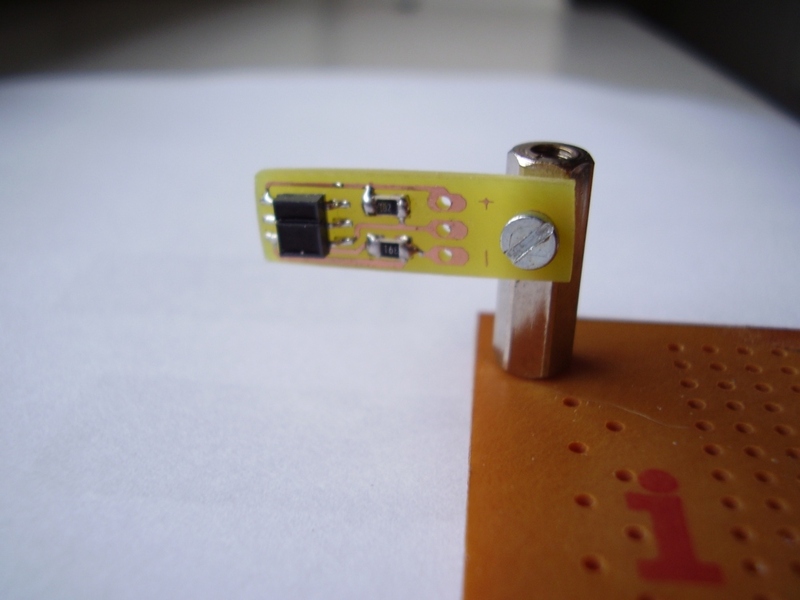 The sensor is only available in smd package, so we need first to design a carriage board. 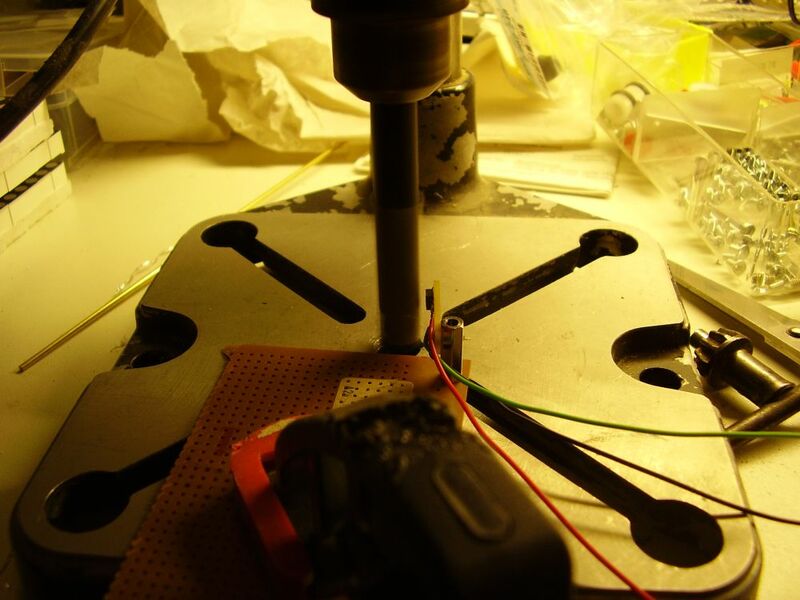 Testing the board was done in a drill and the sensor was working very well up to 1,5mm from the drill shaft. 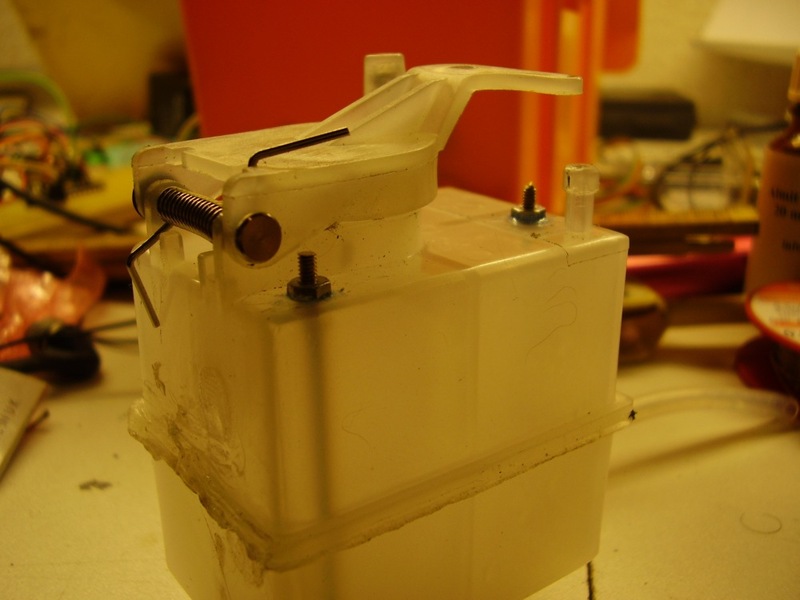 Next sensor needed is the fuel level sensor, just 2 M2 bolds to measure the resistance of the fuel. How higher the level is more of the bold makes contact with the fuel, how lower the resistance. 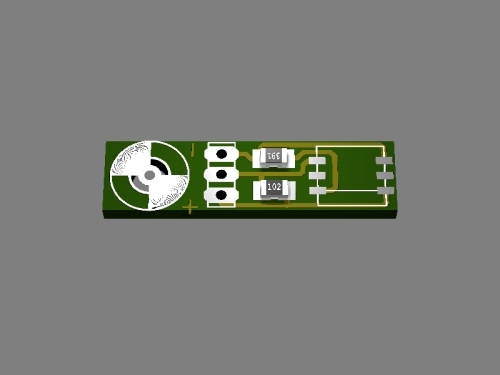 I’m not sure of this sensor will work in the real world, reading is very unstable due the sloshing of the fuel. 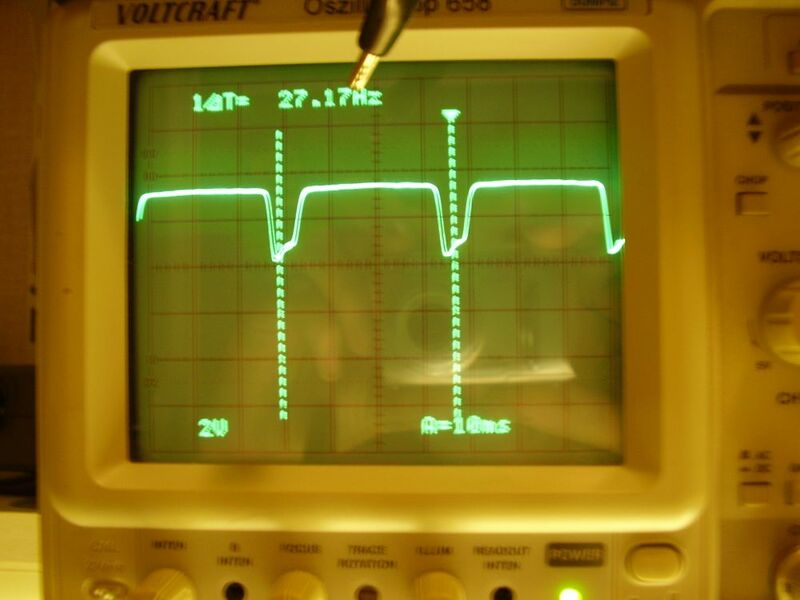 Did also some experiments with capacitive measuring, but ill try this first. Now we go testing the wireless connection. 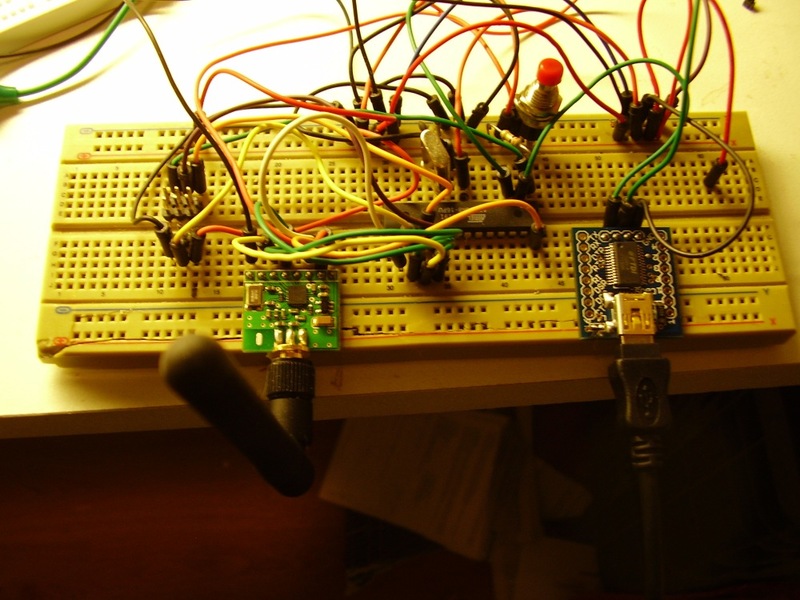 First I want to use the cheap 433Mhz transmitters, this was working good with some manchester coding and crc. The problem that I noticed was that the 433Mhz was full of other “things”, for instants i know now that my neighbors has a logitech wireless mouse. 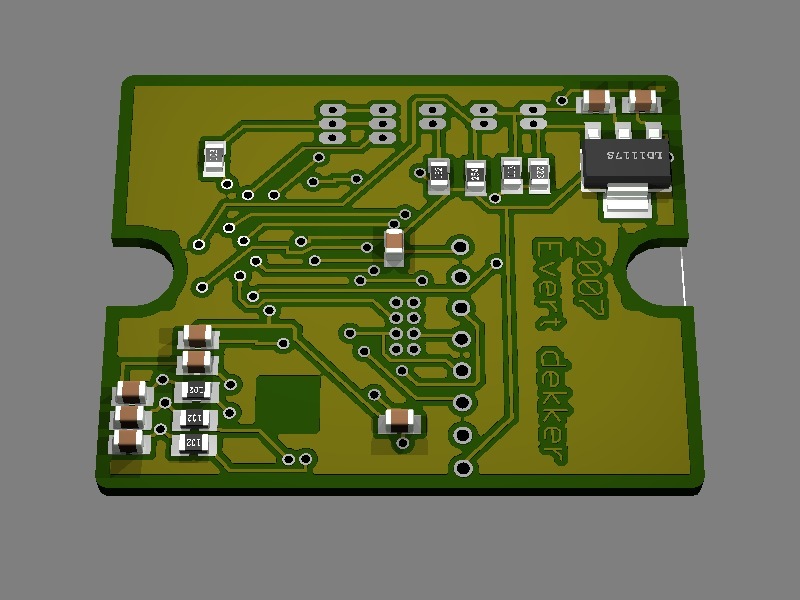 Then I tried Bluetooth, that was also working very well, but i want my application running on a PDA and there was no bluetooth classe 1 CF card on the market. Bluetooth was also not cheap and compact. 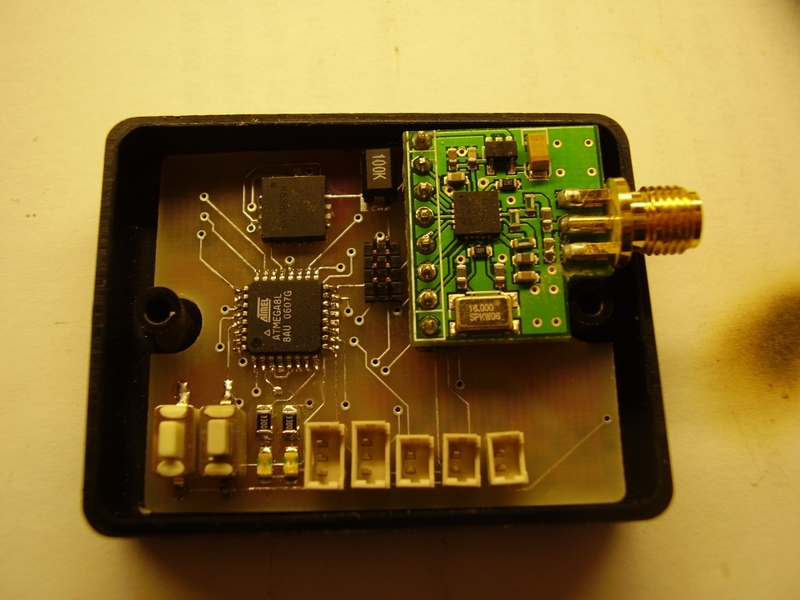 Then I run in the Nordic nRF24L01 2.4Ghz transceiver. It was compact, cheap and smart. Please read my application note fore more details. The Nordic will do retransmit, crc, ack , etc… by itself and fast. I hope that 100 meter range will be enough. 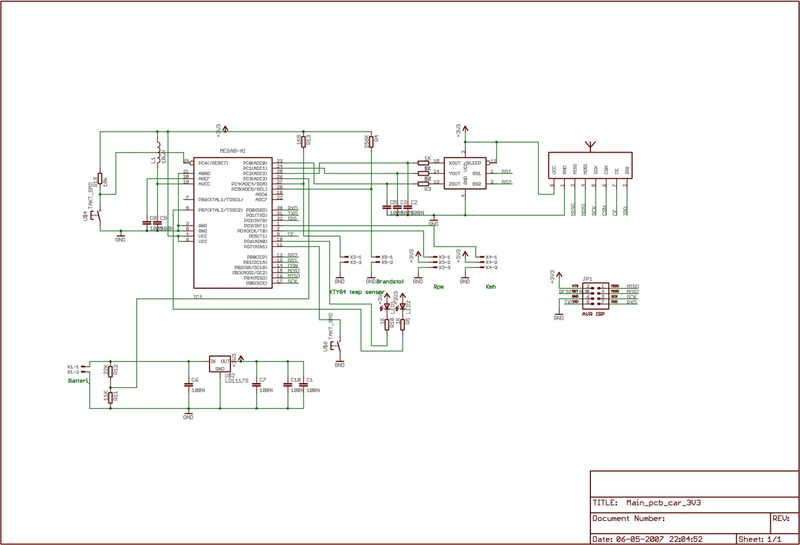 First schematic was running on 5V, but the nRF24L01 and the MMA7260 (1.5g – 6g Three Axis Low-g Micromachined Accelerometer) sensor requires 3,3V, so decided to make everything running on 3,3V. 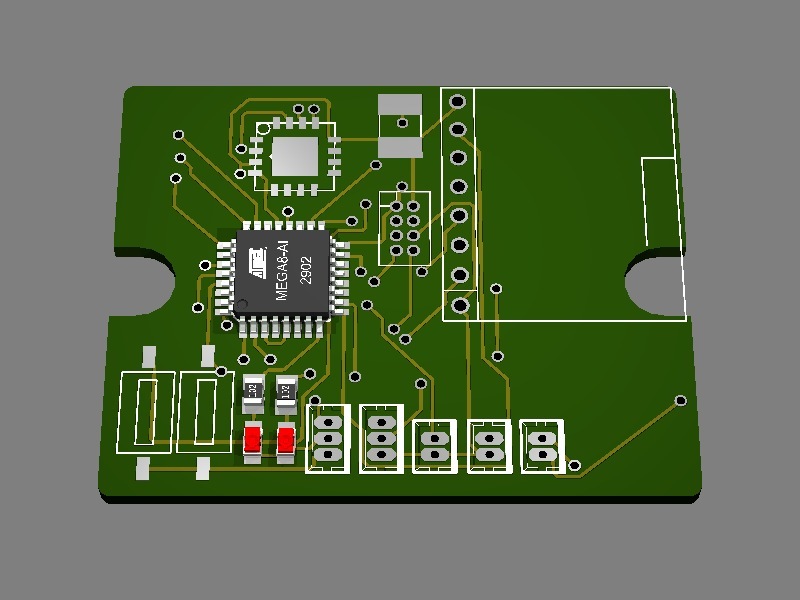 Schematic is finished and pcb is designed and made. Soldering the MMA7260 was not that easy. 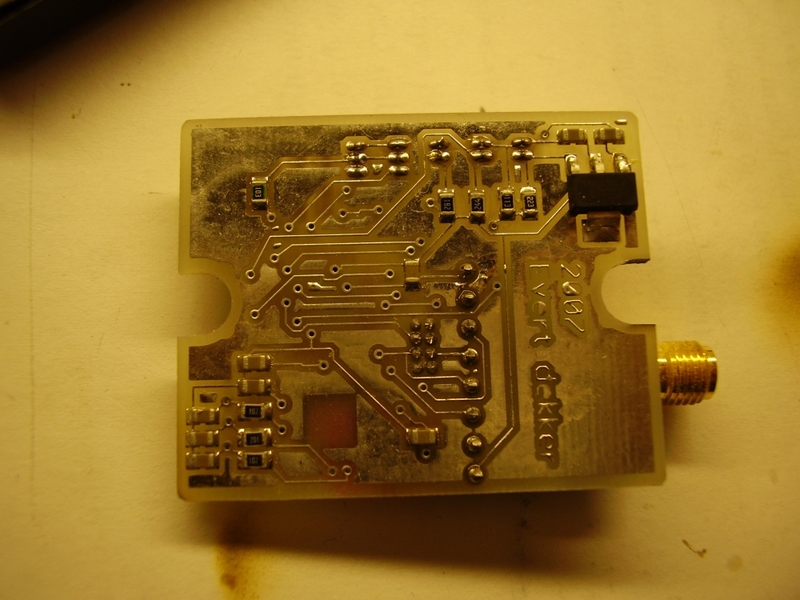 Notice the 6x6mm Qfn16EP package in the upper left corner, very difficult to solder because there are no leads.With some solder paste, heating gun, patience and 3 retry s it’s done and working.